The Villa Group timeshare is considered of many of the top vacation locations in Mexico. 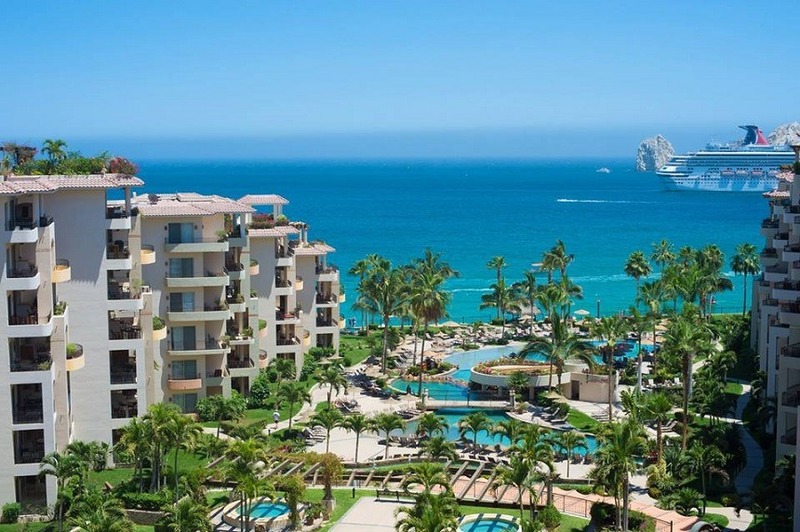 The Villa Group resorts are located in Puerto Vallarta, Loreto, Cancun, Riviera Nayarit and Cabo San Lucas. 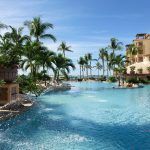 These fabulous locations were selected as they contain some of the most beautiful natural landscapes in Mexico including white sand beaches and interesting towns filled with culture and Mexican intrigue. 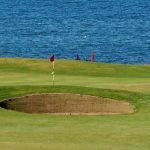 Due to the pleasant year-round weather, they are also ideal for outdoor adventures and outings. The Villa Group timeshare resorts offer world-class accommodations and amenities so that you feel comfortable and pampered. 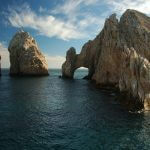 If you are a nature lover and enjoy desert scenery, Cabo San Lucas is the place for you. Its stunning landscape and turquoise colored waters are beautifully contrasted by the desert surroundings and plant life. One of the most popular natural rock formations is the El Arco Rock Formation that you can be seen up close in person on a boat tour. If you love golf, look no further than Cabo San Lucas as there are numerous world-class golf courses for golfers of every skill level. 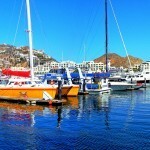 Cabo San Lucas is also popular with celebrities and the elite thanks to its lively nightlife, wide array of fine dining restaurants, adventure activities and tours and so much more. Loreto is one of the lesser known Mexican resort towns, but it is one of the best places for underwater sea adventures. If you enjoy snorkeling or scuba diving, the Islands of Loreto give you a chance to be up close to beautifully colored fishes and corals that will take your breath away. If you want to keep your feet dry and prefer to enjoy your seafood the old fashioned way, try a delicious seafood dinner where shrimp, crabs and lobsters will satisfy your hunger and thrill your taste buds. Puerto Vallarta is a sight to behold with its lush green mountains that surround the expansive Banderas Bay which measures around 25 miles from one end to the other. There are a wide variety of tours available where you can enjoy the adventure of parasailing or mountain biking through the jungle, or sit back and enjoy a five star meal aboard a romantic dinner cruise on the bay. There are unlimited cuisine options in Puerto Vallarta with everything from street tacos to fine dining restaurants so that there is something for every taste and budget. Walk along the iconic Malecon boardwalk right on the water where you will be amazed by numerous novelty shops, art galleries, bars and stores. If you are looking for a more relaxing getaway, Riviera Nayarit is the spot for you. Tucked away from the crowded hustle and bustle of city life, Riviera Nayarit is more focused on the beauty of the Pacific Ocean and enjoying life’s simple pleasures such as relaxing and sunbathing in the warm Mexican sun. You can still go surfing, swimming, snorkeling and or just sit back and read a book and take in the quiet beauty of the ocean. The lively small town of Bucerias is just a short drive away if you want a little more excitement during your vacation. Here you can try horseback riding on the beach or stroll through a market right by the main plaza that boasts a wide variety of Mexican arts and crafts that are perfect souvenirs to remember your vacation. Cancun has some of the most beautiful views in all of the Villa Group timeshare locations. From its clear blue green waters and white sandy beaches, there are lots of fun activities with the Villa Group in Cancun. You can also have a taste of Mexican culture and history by visiting the ancient Mayan cities of Uxmal, Tulum and Chichen Itza where you can tour archaeological ruins just minutes inland from its stunning beaches. As with all our Villa Group resorts, there are exceptional dining and shopping options to make your stay even more memorable. Whatever Villa Group timeshare option you choose, you are sure to make vacation memories that will last a lifetime. Why not see how many Villa Group timeshare options you can visit this year? You are worth it!